Courtroom processes are strict and rigid. There is a process that parties must adhere to at all times. In a typical trial, the respective lawyers will present their respective clients’ Opening Statement, followed by cross-examination of the witnesses and Closing Submissions. Whereas in a mediation setting, parties are in control and the process is informal as the purpose is to allow each side to have its say without the burden of special legal procedures, and without fear that if they say the wrong thing they can “lose” in the dispute. A mediation session usually takes one day to complete and is less expensive than a typical lawsuit. The cost of mediation is usually split equally between the parties. The lawyers also spend less time preparing for a mediation session as opposed to a full blown trial. Therefore, it is cost effective. Parties can explore non-legal remedies and solutions. Parties can focus their attentions on their needs and interests rather than on their legal rights and remedies. For example, in a professional indemnity case involving a dispute between a house buyer (Claimant) and his property agent (Respondent), the Claimant requested for a donation to be made in the Respondent’s name to an organisation of her choice as a term of the settlement. The mediation process is confidential, unlike a court process which is usually public. This means whatever either party says or reveals during mediation cannot be used in later stages of the dispute and there is no media publicity or attention. Mediation can help to preserve relationships that would likely be destroyed through years of litigation. Because it is collaborative, rather than adversarial, commercial relationships can often be saved. Finally, because it is mutually agreed upon, compliance with the mediated settlement is generally higher than with lawsuits as it is a consensual process. If you have any question on insurance claims, you can request a quote from Sharon Lin. Alternatively, you can also get a Quick Consult and expect a call back within 1-2 days on the phone to get legal advice for a flat and transparent fee and have your questions answered. This article is written by Sharon Lin from Withers KhattarWong and was first published in Withers KhattarWong’s client magazine. 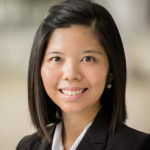 The focus of Sharon's work is on both the contentious and non-contentious aspects of insurance where she advises and acts for most of the major insurance companies in Singapore. Sharon advises on policy coverage disputes in various classes of insurance which includes advising insurers on their legal rights under the insurance policies, defending claims bought by insureds or third parties and dealing with subrogation issues. In the area of corporate litigation, Sharon had advised and acted for a minority shareholder who successfully brought an oppression claim against the majority shareholder and the court ordered a buy-out of the minority shareholder's shares. Sharon had advised on landlord/ tenant and employer/employee disputes and on the drafting of tenancy, employment and logistics service agreements.